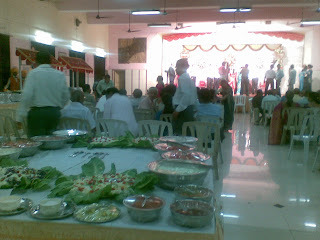 Space Issues : Mandap and Eating room in the same place at Vile Parle. That's a very Mumbai thing! 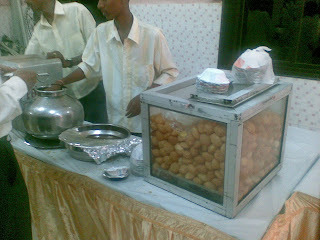 Mumbai starters- Panipuri and the assortment of Chaat. I was totally hooked on to this section, and in the melee was less interested in meeting the couple. 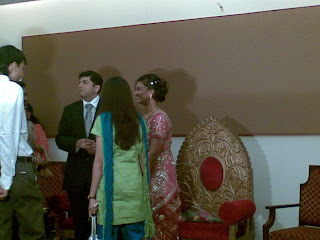 The other marriage of out batchmate, Himanshu Pahuja. This was held at a rather posh South Bombay location near Kalaghoda. Had a more relaxed set of people, less crowded and had some light instrumnental music playing. 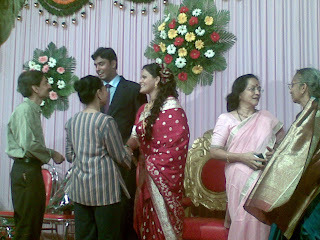 Waiting for my friend Sham Shet's marriage in Goa. That would be a nice trip to go and enjoy in a different place.